Located in the Wasserman Gymnasium, the Elie Ronen Scott Family Gym features colorful climbing, sliding, and rolling toys for parent or guardian-accompanied children 18 months to 7 years old. Fun for whole family, kids and tots can tumble, crawl, slide, and climb while building strength and socializing with other children. Family Gym recently added the Imagination Playground to the program. With these building blocks, the kids can work together and come up with something creative to build. Open Sundays 9 AM -12 PM (except when gym is closed for special events) Free to members. General public: $10/family. Questions? Contact us at 301-348-3892. Work out or attend a Bender JCC program while your children play in a fun, safe environment! 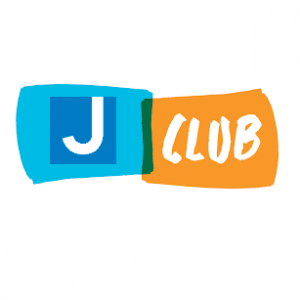 Available for children three months to five years old, the Bender JCC’s JClub Babysitting program is a convenient way for parents to enjoy the Center while kids can be kids with our experienced babysitters. Babysitting passes can be purchased at the membership desk. Parents/caregivers (over the age of 16) can now play with their child (ages 6 and under) in our J-Club babysitting room during specific hours!